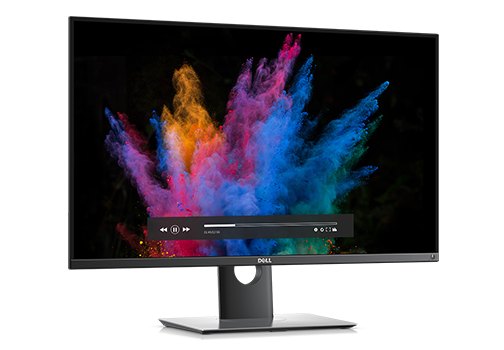 About a year ago, Dell announced a 30 inch Dell 4K OLED UP3017Q Monitor at Consumer Electronics Show CES 2016, and it’s priced at $4,999. But due to some image quality issue, the company cancelled it. Now Dell is going to sell it and even in a cheaper price than originally planed. The newly arrived UP3017Q Monitor will cost $3499. The UP3017Q Monitor features a massive 30 inch display with the screen resolution of 3840 × 2160 pixels at 147 ppi pixel density. The response time of monitor is 0.1ms, and runs at the 60 Hz. The 4K OLED monitor is able to reproduce 1.07 billion colors and it can handle 100 percent of Adobe RGB color space, and cover 97.8 percent of DCI-P3 color space as well as 85.8 percent of Rec2020. The monitor features a 1,000,000:1 dynamic contrast ratio due to the characteristic black of OLED displays. Apart from the display, it is featuring a USB Type-C connectivity, it is the first OLED display that offers USB-C connectivity. Along with USB-C port, it also includes a mini Display Port 1.2 connector, and HDMI 2.0 port as well. The USB-C port can be used for video and data transfer, and power delivery as well up to 100W. As far as the security concerned, the monitor will come with security lock slot for a separately lock cable and provide you an Anti-theft stand lock slot which connects to the panel. If you buy this monitor, the company will offer three years of 24 / 7 supports as well as a Dell Premium Panel Guarantee. That means, the company will replace the monitor for free if you will face some problem with it even if it will not offer eight million pixels perfectly. The ultra sharp Dell 4K OLED UP3017Q Monitor will available to purchase and costs about $3,499 and you can order it from the company’s official website.